A certified lecture for Radiology Administrators and Managers, Radiologic Technologists, Lead Technologists, and Modality Leaders recorded at the Imaging Leadership and Operations Management program on September 11, 2018. What does a truly effective radiology leader look like? With the internal and external demands at all levels of the department, managing a radiology practice has become more challenging by the day. From the changing requirements of accrediting bodies to accommodating emerging technology, prioritizing management responsibilities while maintaining a positive attitude can be challenging. This lecture will discuss dangerous uses of radiation throughout history, recent cases of overexposure to radiation, and the role of imaging leaders in developing effective safety training and radiation dose management. This course meets all criteria and has been approved by the Association for Medical Imaging Management (AHRA) for 0.75 Category A ARRT continuing education credits.This course meets all CRA renewal credit criteria and has been approved for 0.75 continuing education credit (total) in the following CRA domain: Operations Management. Certificates of Credit accepted by the American Registry of Radiologic Technologists (ARRT). There are no fees or prerequisites to participate in this program. In order to view this lecture, you must have an account at www.icpme.us and register for this lecture. Greg Pilat currently serves as System Director for Radiology at Advocate Aurora Health headquartered in Downer’s Grover, IL. He has more than 40 years of medical imaging technical, business, and management experience. Mr. Pilat brings with him a strong background in clinical imaging management, imaging informatics, and project management and operations standardization. 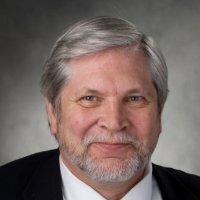 In addition to providing overall direction and strategic planning for imaging services, he is responsible for the development and monitoring of system level quality and performance metrics, improvements in imaging safety and risk reduction strategies, and overall customer and service delivery satisfaction scores. Mr. Pilat is also accountable for the standardization of imaging equipment and supplies, contracted services, and imaging-related IT systems across the enterprise. Mr. Pilat is currently focused on the shift from acute care to nonacute care imaging, population health, retail pricing, and the advantages and disadvantages of imaging subspecialization. He has personal interest in the areas of career and leadership development, education and learning as a continuous life-long activity, and the forces and factors impacting the adoption or rejection of change. International Center for Postgraduate Medical Education (ICPME) requires instructors, planners, managers, and other individuals who are in a position to control the content of this activity to disclose any real or apparent conflict of interest (COI) they may have as related to the content of this activity. All identified COI are thoroughly vetted and resolved according to ICPME policy. The existence or absence of COI for everyone in a position to control content will be disclosed to participants prior to the start of each activity. Greg Pilat has no relationships to report. This educational activity may contain discussion of published and/or investigational uses of products and devices that are not indicated by the FDA. The planners of this activity do not recommend the use of any products or devices outside of the labeled indications.